attracted excellent contributions on fundamental developments as well as innovative applications. Prof. Jurij Krope and Prof. D. Goricanec from Slovenia, Prof. D. Kozic from Serbia and Prof. L. Garbai from Hungary. They are also Editors in the Proceedings. WSEAS thanks them for their great support. The Chairmen of the International Scientific Committee (Prof. Krope, Prof. Goricanec, Prof.Mastorakis, Prof.Kozic and their collaborators) met over a dinner in a traditional taverna in Maribor (just one day before the conference) to discuss the meeting and propose updating the list of topics as well as the appointment of new members. Different locations were discussed for the next conference which will be reconvened in 2009. The many suggestions received will be reviewed and implemented in the next call for papers. Jurij also mentioned the possibility of publishing extended versions of a small number of high-quality contributions with Springer Verlag or WSEAS Journals. 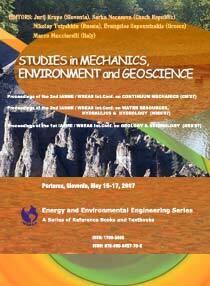 He also underlined how important is the Energy and Environmental Engineering Series of Books of the WSEAS. Professor Mastorakis (WSEAS Executive Director) opened the meeting by explaining the importance of the conference programme for the work of WSEAS and the deliberate effort made to bring together scientists from many different countries in these meetings. The programme also gives WSEAS access to a pool of talent within the international scientific community. It brings together participants from all over the world, interacting in a friendly atmosphere. This is an important consideration which greatly contributes to the success of the series. 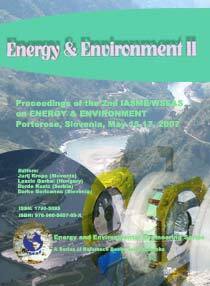 3) WSEAS gave also in the CD-ROM the Proceedings of the previous conferences EE'06, WHH'06, CM'06 from Chalkida, Greece (May of 2006). So, the participants were really very happy, because they had the opportunity to study the proceedings of the previous year. 4) Because the WSEAS will maintain the same policy in 2008, the accepted and presented papers will be available and readable in the CD-ROM that we will distribute in Cambridge, UK in Febr. of 2008 where we will have the same conferences. Portorose, called by many, not unduly, “the port of roses”. As a health and climatic resort of an international reputation it was known as early as the previous century. The sheltered position protects the place against north winds also in winter time. Tourists will find here everything they may be looking for during their holidays. Lying on the northern side of Piran Bay, this attractive modern seaside resort is one of the largest and most important tourist centres in both Slovenia and the Istrian peninsula. The rich offer includes great restaurants, Casino gambling house, Marina and Secovlje Airport, new Thermal Baths and the proud old Palace Hotel, a sandy beach, numerous sporting grounds, the congress and performance centres. In summer, Portoroz turns to a small – scale Europe proper. With its mild Mediterranean climate, numerous hotels, private rooms and campsites, this is indeed a place suitable for every generation; it also makes a good centre for exploring the coast as well as the Karst district and the Istrian peninsula surroundings. In autumn and winter the lively summer holiday resort transforms into a congress centre and hosts many a cultural-entertainment and sporting event. Where the Gulf of Trieste, as an integral part of Adriatic, reaches Closest to the centre of Europe, there are situated the Coast and Karst. The Slovene Coast (the Portorož Riviera) measures a little over 46 kilometres, stretching from the national border with Italy (Debeli rtiè) to the border with Croatia, running from some length along Dragonja River. 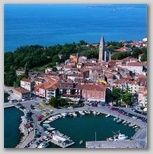 The Slovene Coast is divided into the communes of Koper, including the tourist places in Ankaran and Zusterna, of Izola, with the tourist settlements of Simon Bay and Belvedere, and Of Piran, a picturesque historic town with the central tourist resort of Portoroz. Thanks of favourable transport communications (the Portoroz Airport, the Koper Railway station, the Ports of Koper, Izola and Piran, the Izola and Portoroz Marinas, the nearby town of Trieste from where starts the modern highway), the entire district is relatively quickly accessible. Towns and settlement are situated “at the door” of Istra and on the way back “at the door” of Europe. Here by the Coast starts the route to Jadran, the region representing the very starting point for numerous trips and neighbourhood, to Porec, Pula, Trieste, Venice, Karst. The riches of the sea, fertile soil, mild climate, evergreen plants and natural beauties, historic traces of turbulent past and primarily, a diversified and quality tourist offer, these are but a few of things the Coast and Karst can offer their visitors. There are not many spots in Europe where such variety can be found on few square kilometres. 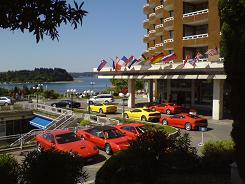 The residents of the “Portoroz Riviera” include, beside the majority of Slovenes, also the Italian ethnic group. Two languages, Slovene and Italian, share equal rights in this bilingual region. 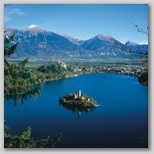 The coastal zone is one of the warmest regions in Slovenia. There are many sunny days and little amount of precipitate. Characteristic of the regions climate are mild winters (the temperature only rarely drops under zero) and not to hot summers. This is the very reason those who cannot stand the summer heat of the southern Mediterranean are coming here.
.: What is the Permanent Procedure for additional Journal publication for a very small number of High-Quality Papers presented in the WSEAS Conferences in Portorose (after the recommnedation of Chairmen). We have started now the evaluation of extended versions of your papers for possible inclusion in WSEAS journals after new review. Abstract: The process of liberalising the energy and gas market in Europe is something the EU has struggled with for the past 15 years. To establish an internal market in the EU electricity and gas sectors was a priority in the Single Market programme and Lisbon Agenda in March 2000 in improving European competitiveness. It is a stated aim of the European Commission, Member States, regulatory authorities, and others, to work towards the creation of a single, efficient and effectively competitive energy market. There are a number of reasons that underpin the launching of single European energy market. The integration of markets is expected to lower the energy prices and generate several advantages, such as increased security of supply, the latter being a great concern of all the EU countries, because the European economy is steadily demanding more and more energy, essentially based on fossil fuels, which make up four-fifths of its total energy consumption, almost two-thirds of which it imports. In 30 years’ time, 90% of oil is likely to be imported; consequently, rising import ratios may lead to the risk of an interruption or difficulties in supply. The high oil and gas prices we faced recently have raised major questions regarding scarcity of these resources. The recognition that these resources are finite and that the current high prices are, on the other hand, not as relevant considering the fact that there are sufficient reserves for the next few decades. There are other relevant factors affecting the price such as the increased import dependency of import consuming countries. Secure and affordable supplies can no longer be taken for granted, as the global energy demand is increasing and the oil and gas reserves are declining. On one hand, it is argued that security of supply is an ongoing concern; nevertheless, an integrated and competitive internal energy market will more than likely deliver secure supply, via a larger and more flexible market, and competition-inspired efficiency gains, innovation and development. To deliver the common objectives of the EU - secure, sustainable and competitive energy - an approach based solely on 25 individual energy policies is not sufficient. After all, experiences from gas and electricity liberalisation, wherever it has taken place around the world, have always been positive, and are expected to be such in the EU as well. The opening up of the markets to all non-domestic consumers from July 2004 and to all consumers in July 2007 requires a series of measures to be put in place to enable new operators, the drivers of competition, to enter the market and serve the very many new eligible customers. We will have to deal with a completely different scale of things, one of the crucial changes being the increased number of eligible customers from July 2007 onwards. The aim of achieving a fully liberalised and integrated energy market with lower energy prices and improved security of supply is for the benefit of the consumers, and at the same time, potential investors in new projects require a stable regulatory framework and the assurance that they have equal access to all customers in the EU. Besides the transposition and implementation of the new Gas and Electricity Directives into national legislation of the 25 Member States, the task of ensuring compliance should not fall exclusively on Commission’s shoulders. In order for the consumers to have a de facto single European grid, the work of national regulatory authorities is of a great importance, and the work conducted through the European Regulators Group for Electricity and Gas (ERGEG); the benefits for the consumers and the rights enjoyed by the European citizens are formed through a constructive dialogue with public authorities within the context of good governance. Abstract: The growing interest in smart structures technologies has led in the last decades to the formulation of a variety of constitutive models for shape memory alloys (SMA). However, most of these models are so demanding from a computational standpoint that, except some exceptions, their application has been limited to only one-dimensional situations. In this work attention is focused on a phenomenological model of isotropic pseudoelasticity emanating from that, and on its numerical integration. The constitutive model under consideration is formulated in the framework of internal variables theory of inelastic behaviours, namely, by defining the transition criteria determining the onset of phase transitions (SMA pseudoelasticity is a reversible behaviour associated with a stress-induced solid-solid phase transition from a parent phase called austenite to a product phase called martensite) in a way completely analogous to the loading functions of plasticity theory. Although consistent with classical rate-independent behaviour modelling, this approach requires, however, suitable modifications of numerical algorithms originally designed for elastoplasticity. Return mapping algorithms are discussed in detail hereafter. In order to perform finite strains analysis, a closed form of the proposed modelling for small strains is developed within the context a non-material rotating frame formulation. In this context, a constitutive frame is suggested to take non-proportional loading into account. Will we ever tackle the Problem of Environmental Pollution? Abstract: In the past decennia, the state of the Dutch environment has improved considerably, mainly due to the acknowledgement by policy, in the seventies and the eighties, that action had to be taken with respect to the worsening state of the air, soil, and surface and ground water, and due to the subsequent regulations enforced in later years. The latter came both from the national government and international agreements. Many emissions of substances have diminished, especially of those originating from sources that could be pointed to unambiguously as being responsible for environmental pollution. Obvious examples are the switch to unleaded petrol in order to prevent the release of toxic lead into the air, the ban on the use of haloalkanes in the Montreal protocol in order to protect the ozone layer, but also the direct measures, within the scope of REACH, that Industry must take to prevent emissions. Yet, worrying amounts of pollutants still enter the environment. In densely populated areas the problem of particulate matter in the air is extremely difficult to tackle, just as is the continuing pollution of the surface water by release of chemicals from sediments or the leaching of substances form the soil into the ground water. In most cases these processes can be traced back to the diffuse sources as registered in the E-PRTR database. Nowadays it has become a challenge to consider ecology with sustainable economic growth. What price are we prepared to pay for an environment that is clean and that will remain clean in the future? This talk will focus on the problems that are caused by the continuing release of substances into the environment after the enforcement, and the relative successes, of the first most obvious and most cost-effective measures. 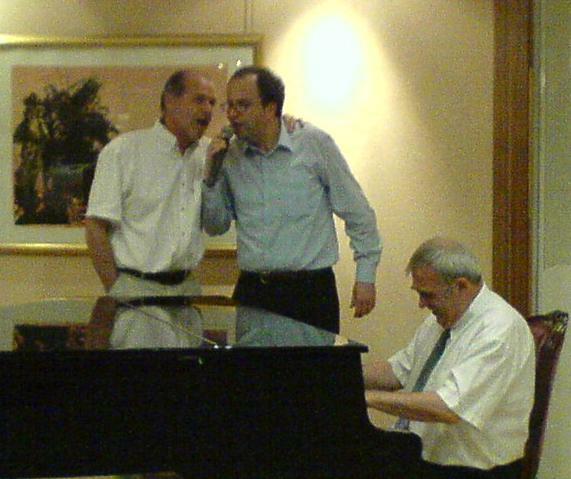 As you can see in the pictures, our co-chairman Prof. D. Kozic gave us also a very nice concert in piano, (see the photos above) , another colleague played also for us guitar, while a professional orchester offered to WSEAS participants happy moments with local music, international music and unlimited dance. Several Excursions organized by Prof. Krope and Prof. Goricanec in Postojna with the famous cave (largest in Europe, see pictures above), Portorose, Ptuj (the oldest town in Slovenia), Izola, Piran (the picturesque harbour with mediterranean colors), Maribor and Lujbliana took place before and after the WSEAS Conferences (see the photos above).